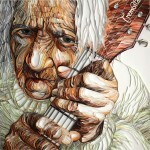 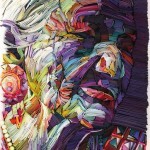 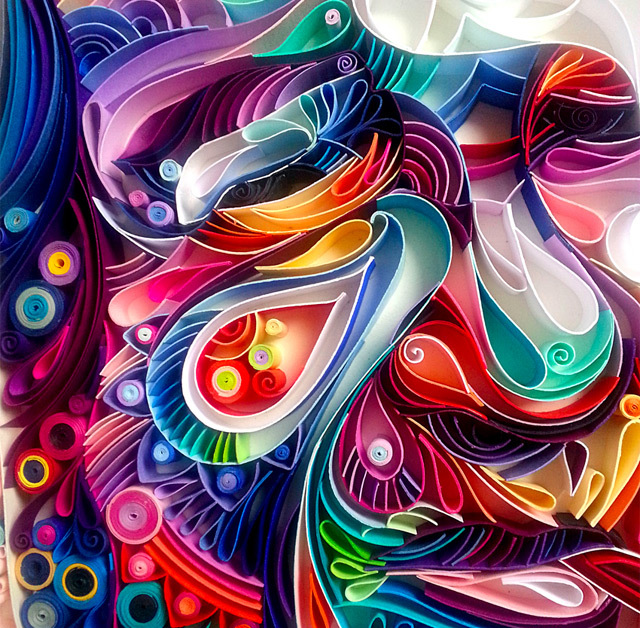 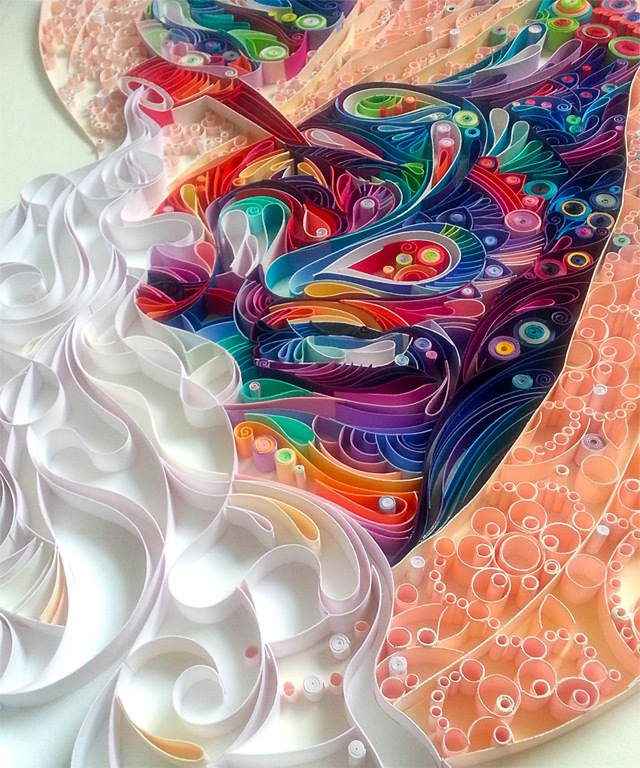 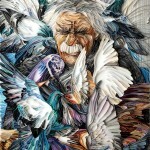 The latest quilled portrait from talented paper artist Yulia Brodskaya. 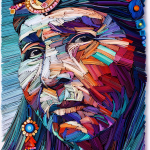 From her last piece Loves Doves to this piece, she has definitely changed the tone of colors to be less of a skin tone varient in terms of palette and more vibrant. 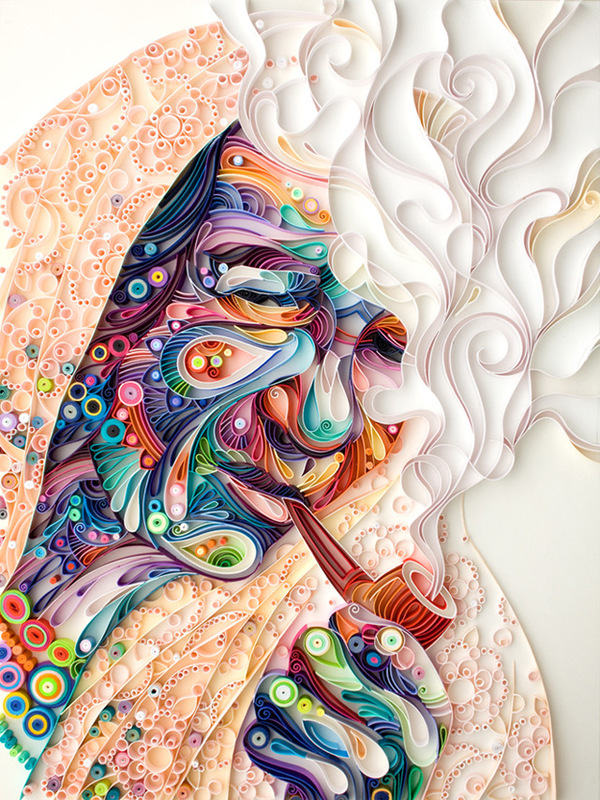 This woman’s face bursts with swirls of color as she smokes her pipe and seems to be a perfect blend into the start of Spring.